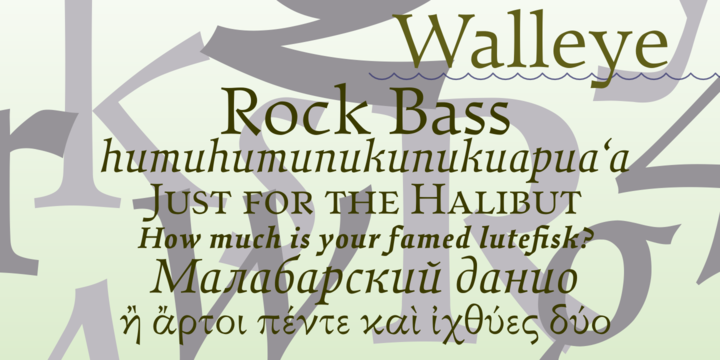 Walleye is a typeface created by Nathanael Bonnell and is published by Looseleaf Fonts. You’ll find this font on different styles: regulas, italic, bold and bold italic and is perfect for longer text. A font description published on Thursday, January 24th, 2013 in Fonts, Looseleaf by Alexandra that has 2,846 views.